The View Current Schedule Module is a view of Today's data that have been entered for any Related Entities in Scheduling Event Forms which a user has access to. It provides a one page calendar layout to easily review schedules for a specific Related Entity Type for today. 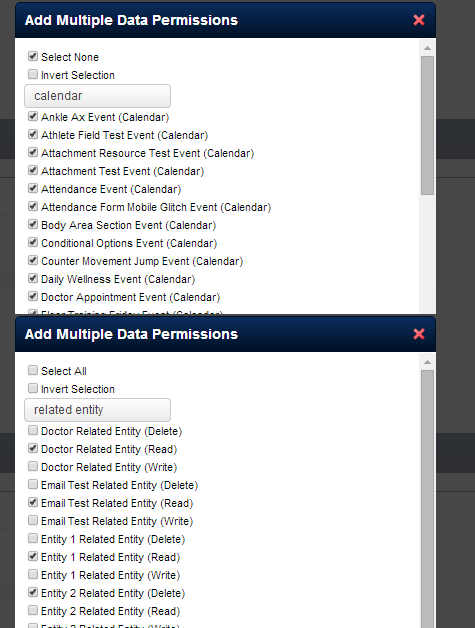 This should only be made available to users who need to view all scheduled events for a related entity type in a day view. Click to View as a Full Screen Preview and go back to the Home Link when required. Zoom: Click to View as a Full Screen Preview and go back to the Home Link when required. 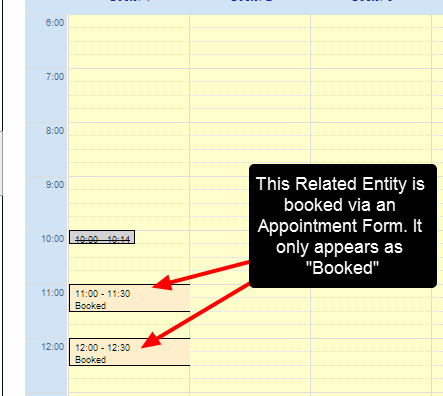 Any other Events or Appointments that are entered which include this Related Entity will also appear here. But, they will just show as "booked"
Because you need this data to display all scheduled data for a related entity, you could set up this system permission on a separate login. This user would have read and write access to all Event Forms, Appointment and Scheduling Forms that use Related Entities. The display can then be used on screens or monitors to show the day's schedule.